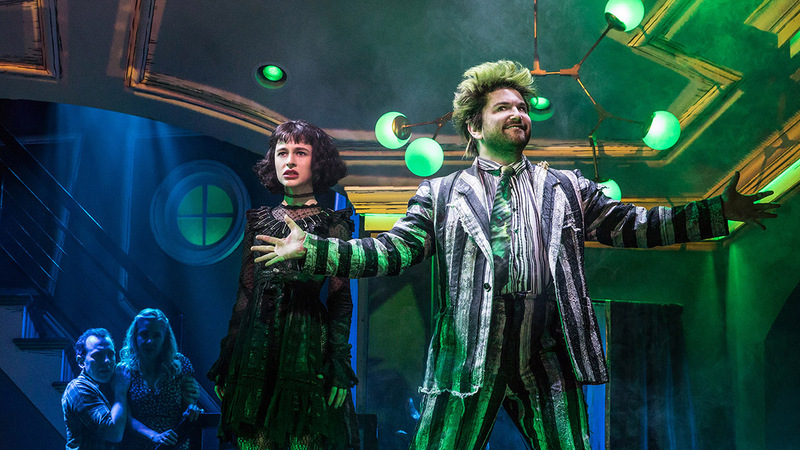 The Andrew Lloyd Webber musical Cats isn’t the only show that is for now and forever: So are great books about the theater. So whether you’re participating in local community theater, planning a trip to a major city to catch a touring production, or heading to Broadway, you’ll want to have these titles on hand for reading pleasure. Here’s a roundup of the best titles that have just hit stores this summer. Hey, remember how even the book about the musical Hamilton was selling out and hard to find? Well, millions of copies of this new play inspired by the work of J.K. Rowling are being printed, so it shouldn’t be a problem to snap up a copy. But if there’s any play that could create that sort of frenzy, it’s the strongly reviewed new story about Harry Potter. Remarkably, demand was so high they didn’t even wait for the London production to open. This is the rehearsal edition, so there’s sure to be an official, final version somewhere down the road. (Has that ever happened before in history? A play being published even before it’s actually finished?) 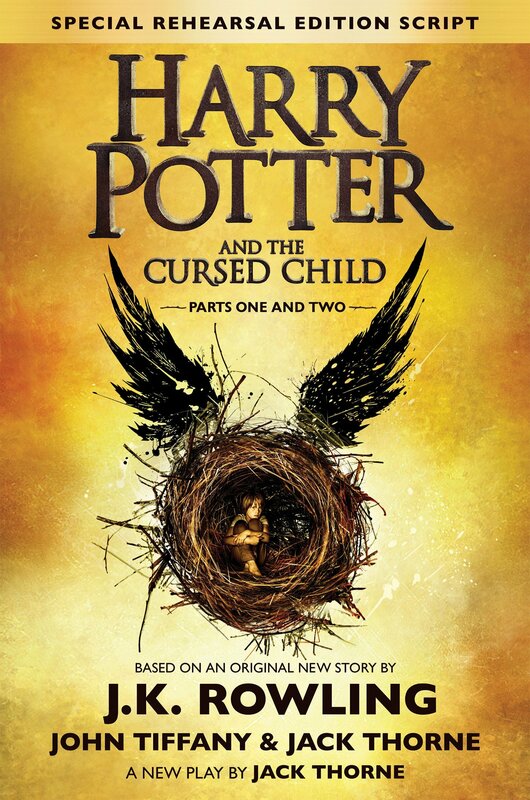 One review of the show itself caught our imagination: Variety said the novels turned a generation on to reading, and now Rowling could turn them on to theatregoing as well. Indeed, for the first time in their lives, many people will be reading a play for pure pleasure, not just because it was assigned to them in school. Magical, indeed. Learn more. It’s a heck of a life. 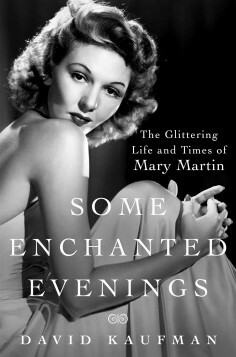 Mary Martin is forever immortalized as Peter Pan on TV. But as with so many great stars of the theater, her best work lives on only in memory. Theater critic David Kaufman’s well-reviewed new biography describes an exciting and rocky life both on and off the stage. Martin soared to fame singing “My Heart Belongs to Daddy” for Cole Porter but quickly proved she was no one-hit wonder: South Pacific, The Sound of Music and I Do, I Do made Martin the biggest star of her day, alongside Ethel Merman. She abandoned her son, Larry Hagman, served as a beard for her closeted second husband … or did he serve as a beard for her? 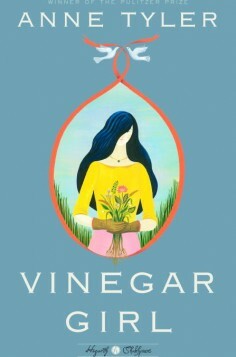 It’s a juicy, riveting life filled with great triumph and, of course, occasional heartbreak. Alongside that holiday classic Peter Pan and all those cast albums, this is a key piece of Martin’s legacy. Learn more. A modern spin on Shakespeare’s Taming of the Shrew, this is the latest in a series of novels commissioned to take the Bard’s work and put those stories in a new setting. 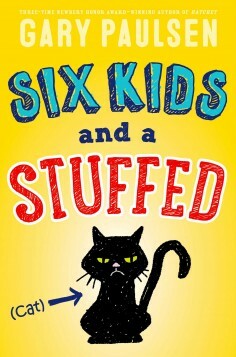 Here, Pulitzer Prize winner Tyler turns Kate into the daughter of an eccentric scientist and preschool teacher. After years of frustration, her dad is on the verge of a breakthrough; unfortunately, his irreplaceable lab assistant, Pyotr, is about to be deported. Kate’s not married and, sure, Pyotr is insufferable, but couldn’t she just do the deed to get him a green card? Hey, since Shakespeare often borrowed his plots from earlier sources, turnabout is fair play, especially when it’s the acclaimed Tyler doing the borrowing. Learn more. You wanna be a producer? Actually, what do you really want? Do you want to be among the crowd onstage when a new play wins the Tony, or do you want to inspire bold new work, or do you want to be a smart investor and make money while getting to be involved with theater? 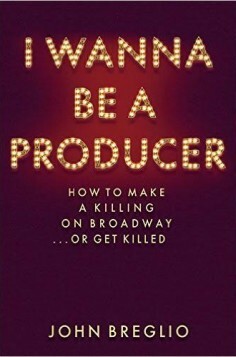 Producer and entertainment lawyer John Breglio has seen it all, and this memoir/handbook will be devoured by theater buffs whatever their goal. If you want to be a player, he’s got dos and don’ts. If you want to peek behind the curtains and see how Broadway really works, he’s got the details about the hard work that goes into mounting revivals of Dreamgirls and A Chorus Line, and decades of work as a lawyer. And if you want stories, he has crossed paths with everyone from Michael Bennett to Stephen Sondheim and August Wilson to Patti LuPone. It’s neither fish nor fowl, really, much like the job of a Broadway producer. Learn more. 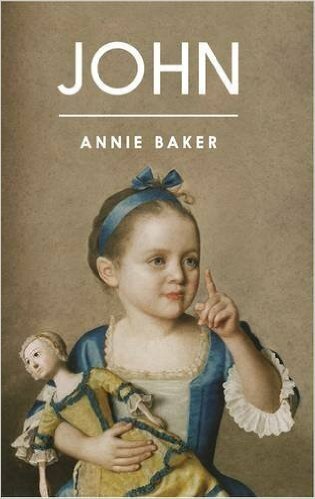 Author Jo Baker scored a huge hit with her novel Longbourn, which retold the events of Jane Austen’s Pride and Prejudice from the point of view of the servants. 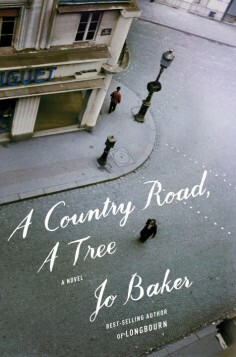 Now Baker delves into real life with A Country Road, A Tree. The time is World War II and budding playwright Samuel Beckett has come to Paris, determined to set the theatrical world on fire. Unfortunately, the Nazis have also arrived and they’re determined to set the real world on fire. Beckett joins the resistance and witnesses horrors while wrestling internally with the new type of theater he is determined to create. 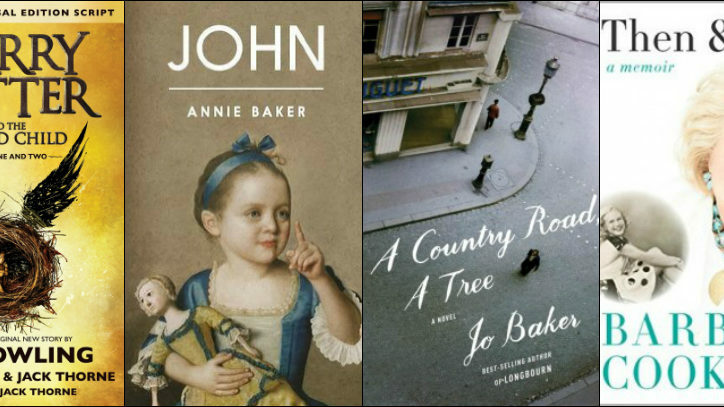 Take your pick: It’s a riveting story of spies and intrigue, or it’s the crucible in which great art is formed. Really, it’s both, and it’s a bold new work from a writer who has proved especially adept at finding fresh, unexpected angles on familiar events. Learn more. 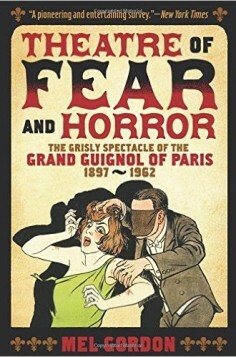 First published in 1988, this long out-of-print look at the Grand Guignol style of melodramatic mayhem in Paris is back and expanded in a new edition. Popular for more than 50 years, Grand Guignol was “lowbrow” theater and — you won’t be surprised to hear — wildly popular. Gordon describes its rise and fall in a colorfully illustrated book that might have just been an eye-catching coffee table book but is in fact a serious and substantial work of scholarship. New to this edition are more Grand Guignol posters, an autobiographical sketch of one Grand Guignol star called “I Am the Maddest Woman in the World,” and three scripts of actual works. If you need a birthday gift for John Waters, here’s just the thing. Learn more. Author Paulsen is one of the most honored writers of books for kids working today. Hatchet — his story of a teen boy surviving in the wilderness — is one of those go-to novels perfect for kids who think they don’t like reading. Now Paulsen has delivered this comic work about a storm striking a local school. Everyone is forced to take refuge in a safe space and stay there. The result? Six kids are crammed together in a bathroom and must spend hours dealing with one another. Think The Breakfast Club but smellier. Here’s the catch: Paulsen has told the story and then included a script, so any six kids can perform this piece together, making it both an entertaining comic novel and a perfect introduction to the pleasures of live theater. Learn more. 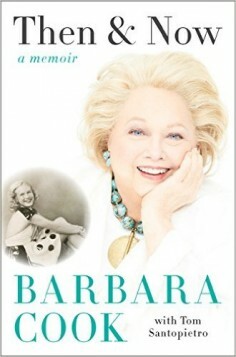 Director Mike Nichols compared one especially brilliant concert series by singer and actress Barbara Cook to Judy Garland’s legendary Carnegie Hall shows. Having been there as well, I heartily agree. 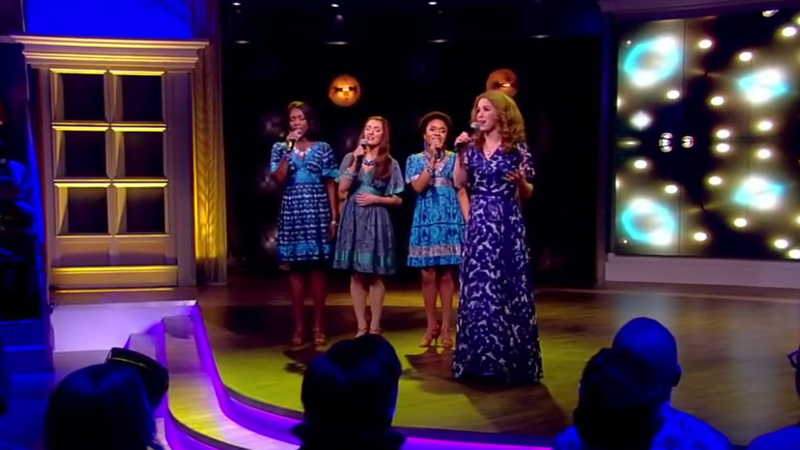 One of the greats, with the Tony and Kennedy Center honor to show for it, Cook is a peerless interpreter of classic tunes from Rodgers and Hammerstein to, of course, Stephen Sondheim. Though effortlessly commanding on stage, Cook had a difficult life, having been abandoned by her beloved father and surviving the controlling neediness of her probably unstable mother, to overcoming the alcoholism that plagued both Cook and her marvelous accompanist Wally Harper. She bares all in this memoir, and ardent fans will surely savor the passages that deal with that famously challenging aria from Candide and her prickly friendship with Elaine Stritch. Cook is always hardest on herself as she charts her career. A “natural” singer who has studied and honed her craft to perfection, Cook is far from a natural raconteur, à la Stritch. But it’s welcome as a hint to the complicated, challenging life she led, even if her soul remains bared most beautifully on stage, in song. Learn more. 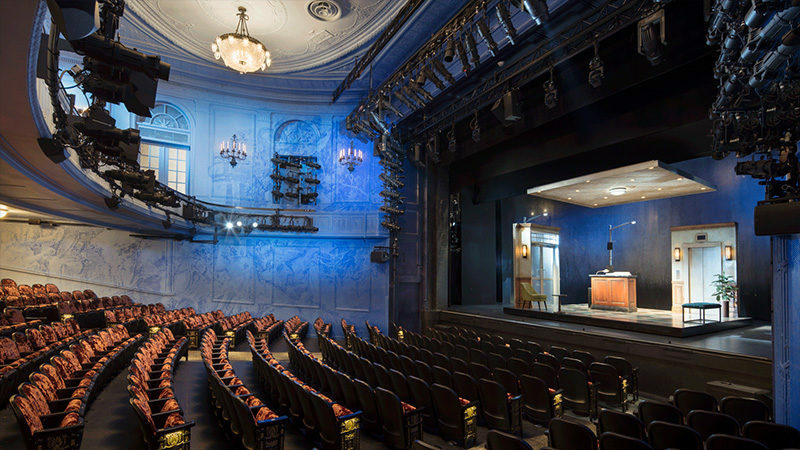 Playwright Annie Baker won the Pulitzer Prize for her seemingly real-time look at ushers working in a movie theatre. She wasted no time in following it up with a subtler, stranger, and bolder work called John. It’s set in a bed-and-breakfast near Gettysburg, Pennsylvania, with the proprietor embodied to goofy perfection by Georgia Engel. A couple come to stay, bicker, and somehow it’s all a lot more mysterious and disconcerting and sad than any mere description can convey. This is the complete text of the newest work by one of the best playwrights around. Learn more. Christian Thielemann is one of the most acclaimed conductors in the world and is especially known for his devotion to and understanding of the work of Wagner. 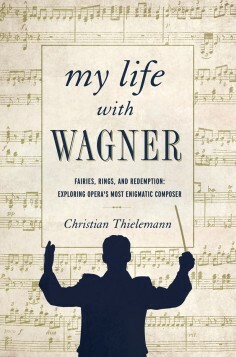 Here, Thielemann offers both a memoir of sorts and a detailed look at what it’s like to tackle and explore and interpret one of the greatest composers of all time. He offers insight into the extraordinarily high level of musicianship needed just to begin playing Wagner and how a conductor and orchestra work in partnership to bring the music to life. For serious fans of opera, this work is essential. Learn more. 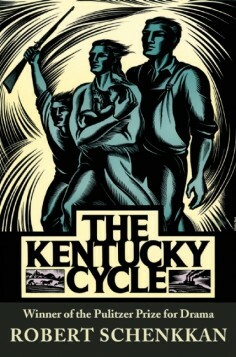 Maybe now The Kentucky Cycle will get its due. This nine-part epic won the Pultizer Prize before even playing in New York City (the first time in history that happened). It came to Broadway. Kevin Costner was set to direct and star in an adaptation for HBO. And then … nothing. The show opened and closed, overshadowed by Angels in America. The HBO miniseries came to naught. And while such things aren’t always easy to determine, The Kentucky Cycle doesn’t seem to have flourished in regional productions (though surely it’s been done). Playwright Robert Shenkkan proved he was no fluke: He’s won Emmy nominations for work on the miniseries The Pacific, has a feature film due out in November, and, of course, enjoyed a remarkable triumph with the LBJ play All the Way starring Bryan Cranston. (The sequel is headed to Broadway as well.) So perhaps now, finally, this collection of nine one-acts about life in Kentucky that encompasses three families, 200 years, and six hours on stage can enter the canon. At the very least, it’s now available to read in a handsome new edition. Learn more. This novel is so rich in ideas, it boggles the mind. That’s certainly the case for the protagonist Malcolm, a widowed therapist who has raised two daughters on his own while working at the Center for Behavioral Health at Baxter College. He takes on a new female patient, only to realize she is in fact a patient he’s already worked with. Only then is the patient identified as Noah. A student at Baxter, Noah is exploring his gender identity, all while (perhaps?) romancing Malcolm and tackling a role in the campus musical. 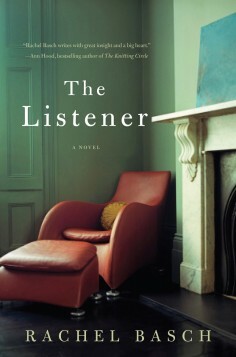 Male, female, gay, straight, Freud, Jung, Sondheim Schwartz — these are the opposite poles that author Basch explores so fully in this acclaimed new novel. And where better to find yourself than on stage taking on the role of someone else, if only for a while? It’s a lesson Noah learns and teaches with style. Learn more. 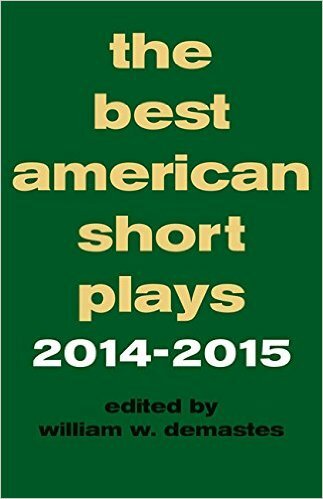 With 70 years of tradition behind it, this annual compilation of the best new one-act plays in America sells itself. The series has a track record of identifying great talent, including Tennessee Williams and Edward Albee. Invariably, it offers a wide range of styles and subject matter, offering a snapshot at the trends that are engaging and inspiring talented writers all over the country. Is surrealism holding sway? Is TV driving them to linked one-acts à la The Kentucky Cycle? Is old-fashioned storytelling coming back in vogue? Or are new ways of telling tales and breaking down the barriers between different media the new norm? Edited by Demastes with an essay on Shakespeare as a starter, these are the questions that you can begin to answer by absorbing the works on tap. Learn more.